> Teton Springs Resort, Victor ID and its award-winning Lodge are offering a Stay & Play Package. Your package includes one night’s lodging in a Deluxe Lodge Room, one round of golf for two and use of golf cart & practice range. Start each day with breakfast for two in the Storehouse Cafe. You’ll also receive a 10 percent discount at the Stillwaters Spa, plus the opportunity to upgrade to a luxurious one-bedroom suite for only $50 more per night. Send me information about this Teton Springs Stay & Play! Send me information about this Teton Springs Stay & Play! 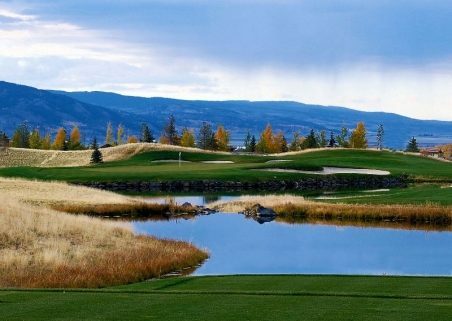 Teton Springs is a 780-acre resort and private golf club community with spectacular mountain views, championship golf, swim-tennis complex, health club facilities, and the full-service Stillwaters Spa & Salon. Send me information about this Teton Springs Stay & Play! Treadmills, elliptical trainers and stationary bikes all provide plenty of aerobic training opportunities. Massage therapies and spa services are available at the Stillwater Spa located in the swim tennis complex. Send me information about this Teton Springs Stay & Play! While most of the properties have been sold, a number of resales are available. There are excellent buying and building opportunities in this upscale golf and mountain community. Prices begin near $32,000 for lots. Send me information about this Teton Springs Stay & Play!